How good a skier/snowboarder do I have to be to teach with the program? You do not need to be an expert. You should feel confident skiing/boarding down a blue run. You will need to be able to help balance your student and provide support as they may fall from time to time. .
What if it’s too cold for my lesson? 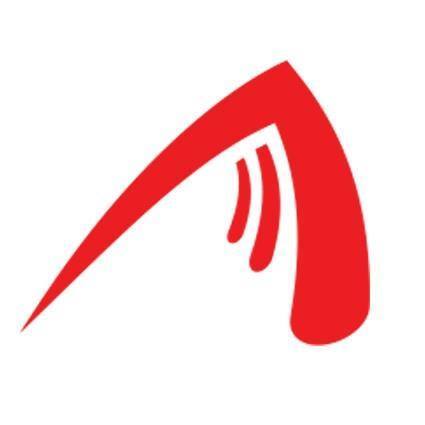 ASSP has a cold weather policy of cancelling lessons when the temperature is 15 degrees (celsius) below zero and minus 12 degrees for sit ski lessons. This is to ensure your safety and comfort. The decision to cancel lessons due to expected cold temperatures is made the day before at 4pm following consultation with the weather reports. Students and Instructors will be notified soon after 4pm. Make up lessons are difficult to arrange but can be discussed on an individual basis. Will I get a season’s pass for volunteering as an Instructor? 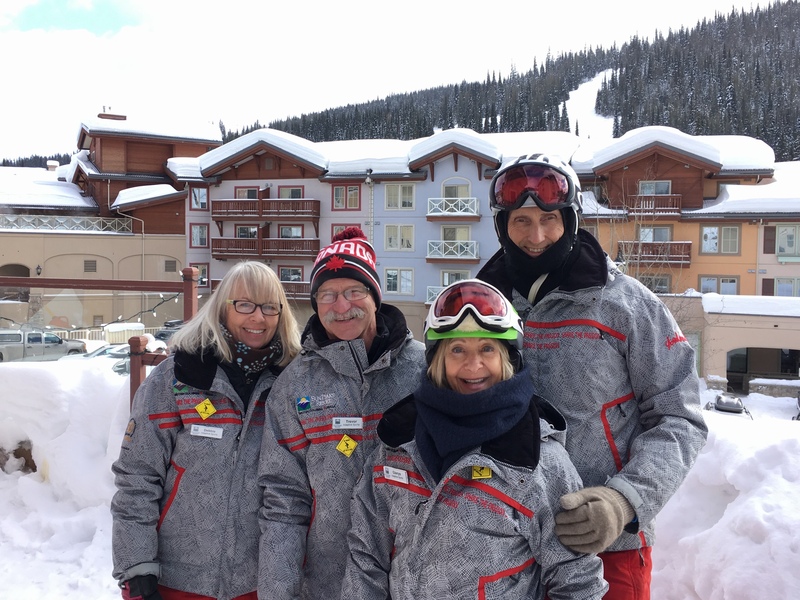 Each season, the Sun Peaks LLP generously provides a number of season lift passes to volunteers throughout the Resort. 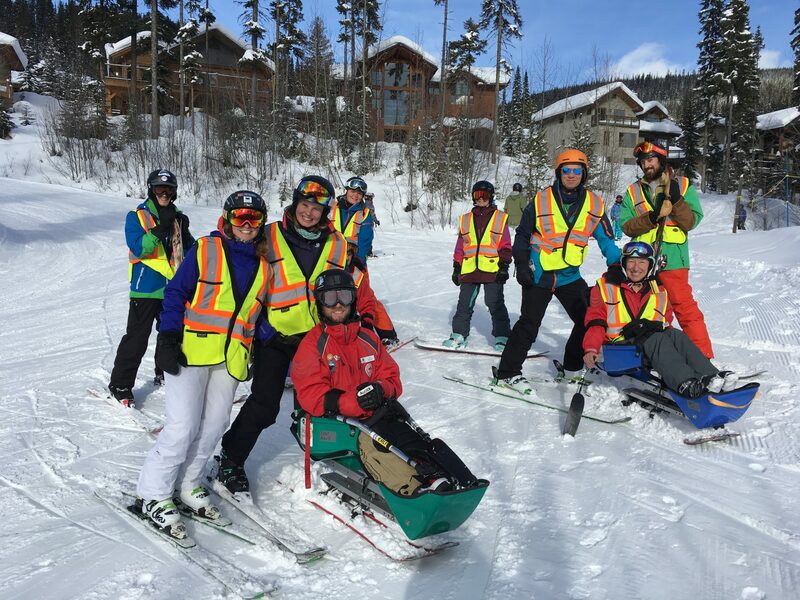 This include ski patrollers, hosts, terrain park setters and Adaptive Sports at Sun Peaks volunteer Instructors. There is strict criteria to receiving one of these season passes and these criteria must be fulfilled/committed to prior to being considered for a volunteer pass. An understanding that passes are not transferrable and will be lost if the volunteer is unable to fulfill their commitment. An understanding that the pass will be revoked should the volunteer leave the Program. Thank you for your understanding that there are very limited passes available and know that ASSP will endeavour to support your application in any way we can. 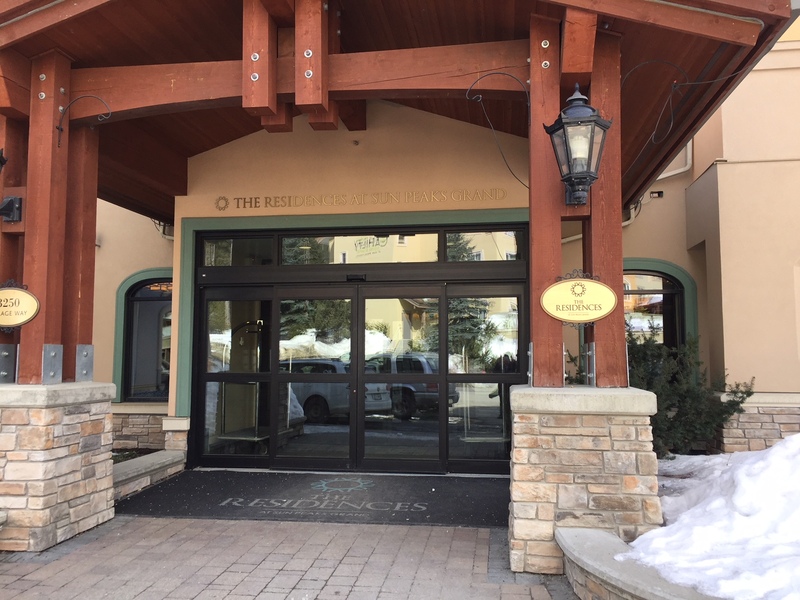 Please contact us at registration@adaptivesportsatsunpeaks.org to discuss further. What do I have to do to become a volunteer Instructor? 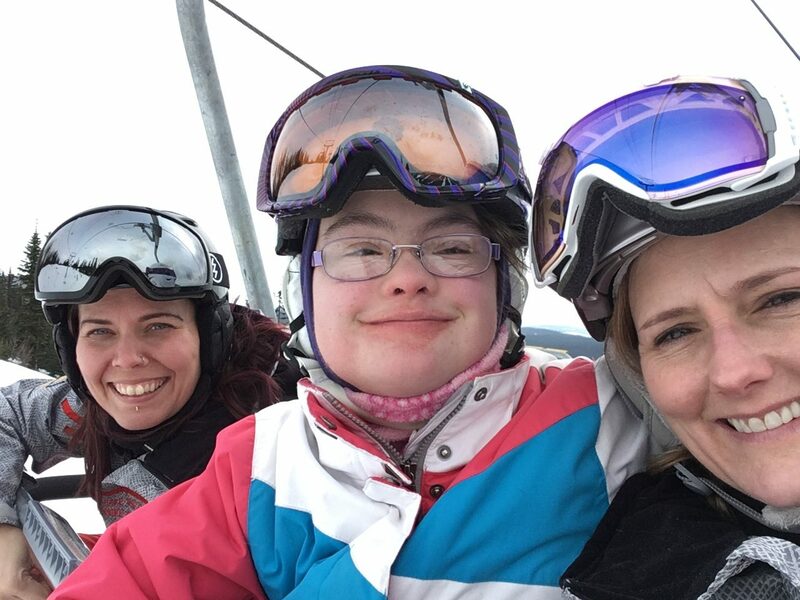 You will need to register online (see volunteering…instructors), complete the online criminal record check and complete the online membership of BC Adaptive Snowsports (BCAS) at a cost of $48 per year. 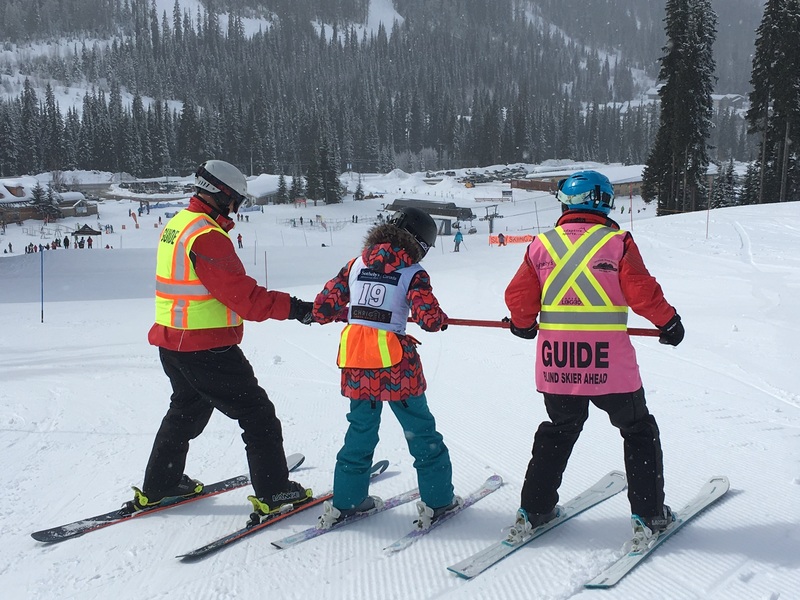 Next, you need to successfully complete the CADS (Canadian Adaptive Snowsports) Level 1 Certification Course at Sun Peaks, and if you are not CSIA or CASI certified, attend a 6 hour prerequisite CSIA/CASI training day with the Sun Peaks Snow Sports School. Please see our application form under ‘volunteering’. What does the CADS training cover? The training covers: skiing and riding methodologies with adaptations for teaching people with disabilities, hands on experience using adaptive equipment, information on different disabilities, and teaching practice. How old must a volunteer be? You must be 15 years or older. 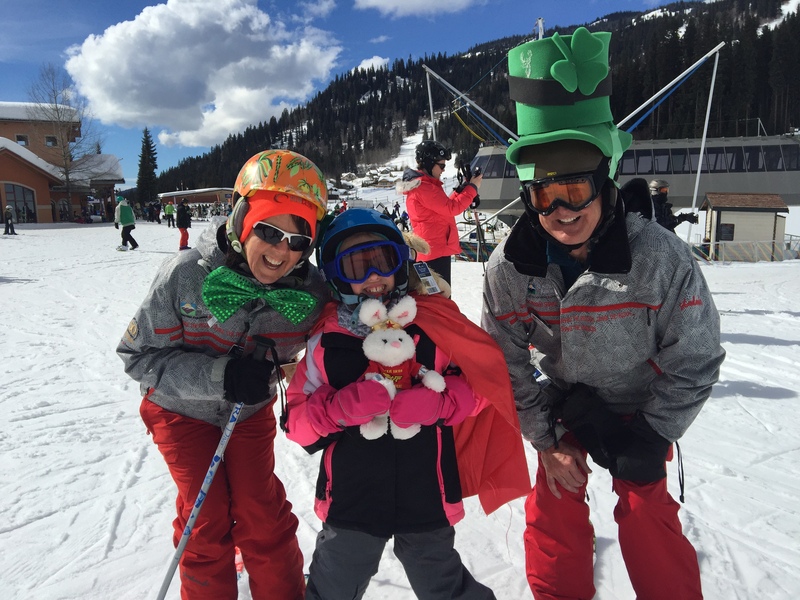 If I do not ski or snowboard, how else can I get involved? We have many volunteer opportunities on various committees requiring member involvement; i.e. social, fundraising, PR and marketing, administration, web maintenance, photography, photo archiving, and special events committees. You may wish to nominate for a position on the ASSP Board of Directors at the AGM in October each year. Let us know if you have particular interests, strengths or talents. What fees are required and why do I have to pay to volunteer? $50 – CADS Level 1 certification course: this includes a nationally recognised certification. The Course includes the latest Manual, instruction from qualified Level 3 CADS Course Conductors, and a certification pin. $48 – annual BCAS/CADS membership fee: this includes liability insurance coverage ($2M) for you while you are participating in any activity associated with ASSP & BCAS, a newsletter telling you what else is happening around the province, and training workshops with BCAS at the start of each season. 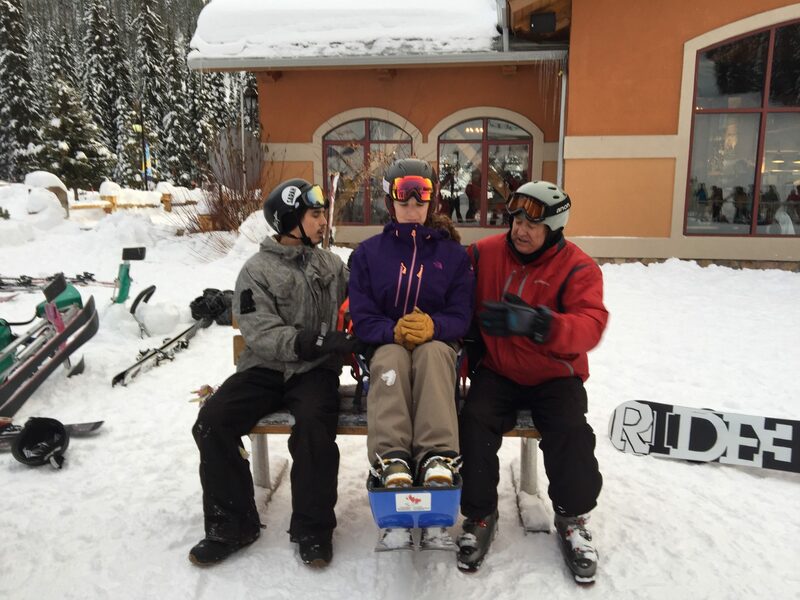 $10 – annual fee to be an Adaptive Sports at Sun Peaks member. Membership assists in the growth of our Program and also entitles you to a vote at our AGM. 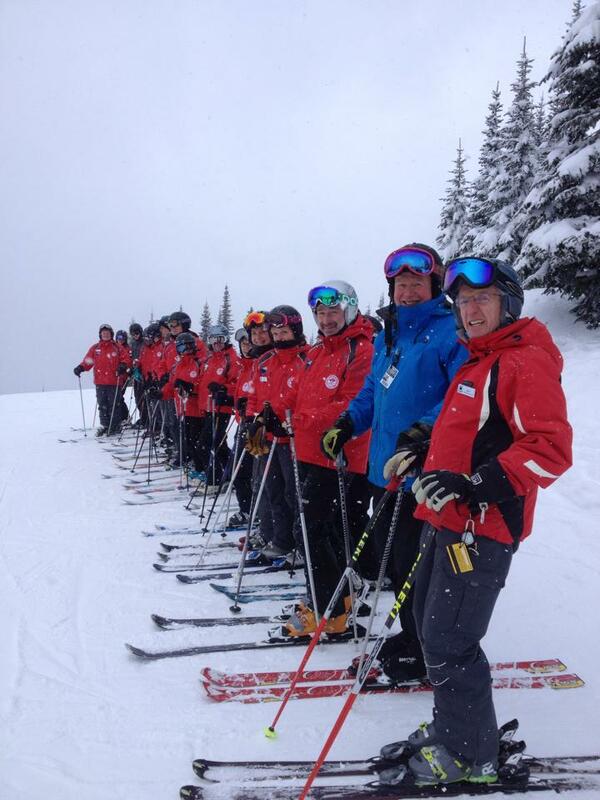 CSIA: Canadian Ski Instructors Alliance. This is the national governing body for ski instruction. CADS instructors follow CSIA teaching methodology, using adaptive techniques and equipment with their students as needed. CASI: Canadian Association of Snowboard Instructors. The national governing body for snowboard instruction. CADS instructors follow CASI teaching methodology, using adaptive techniques and equipment with their students as needed. 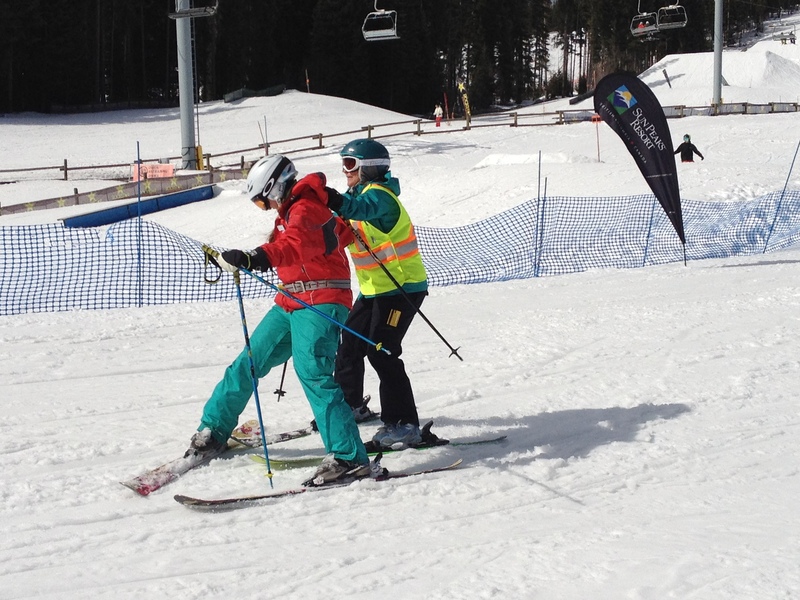 BCAS: BC Adaptive Snowsports refers to our provincial body. They oversee and provide support for all 8 zones province wide. 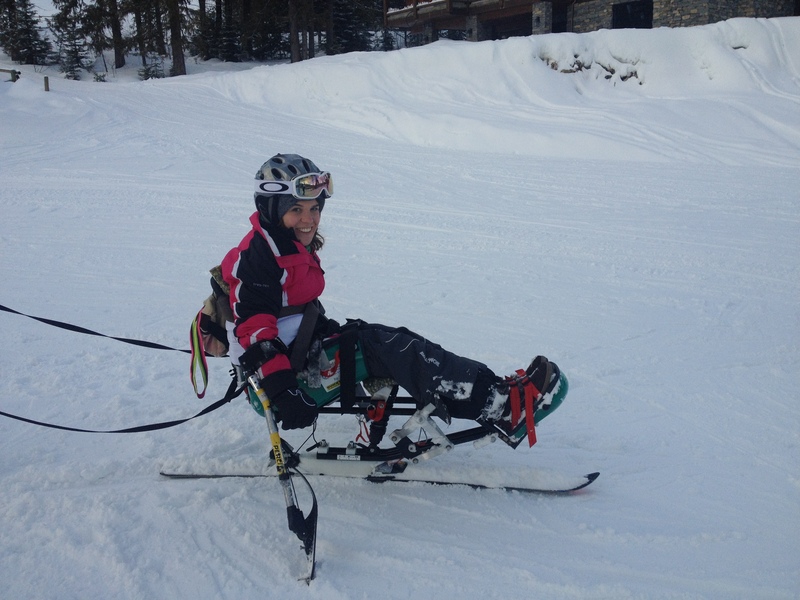 ASSP: Adaptive Sports at Sun Peaks. What does CSIA/CASI have to do with CADS? 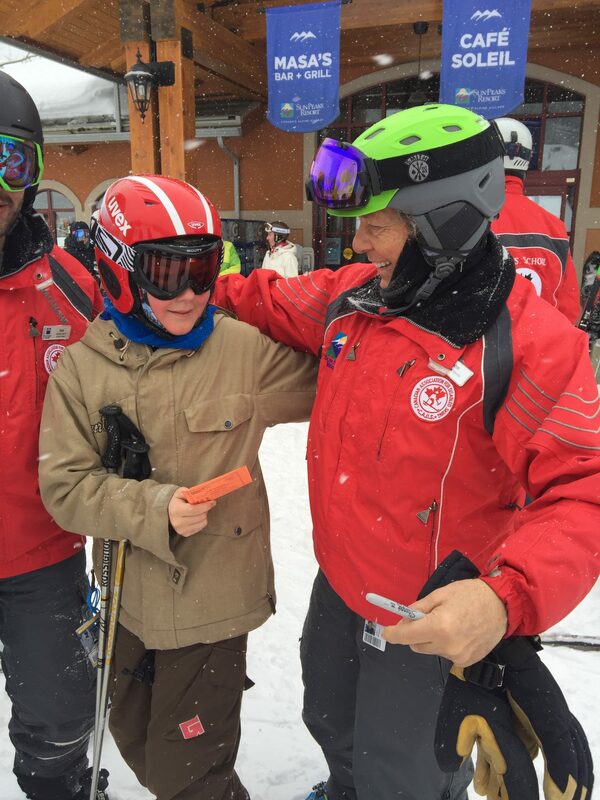 The CADS teaching and skiing/boarding techniques are based on CSIA (Canadian Ski Instructor’s Alliance) and CASI (Canadian Association Snowboard Instructors) methodologies. Once a basic understanding of CSIA/CASI methodology is established, we can modify the techniques and use adaptive equipment as necessary, according to the student’s ability. If you do not already have a CSIA or CASI certification you must take the 6 hour on snow preparation session prior to the CADS Level 1 Course to learn the terminology used when teaching a lesson. 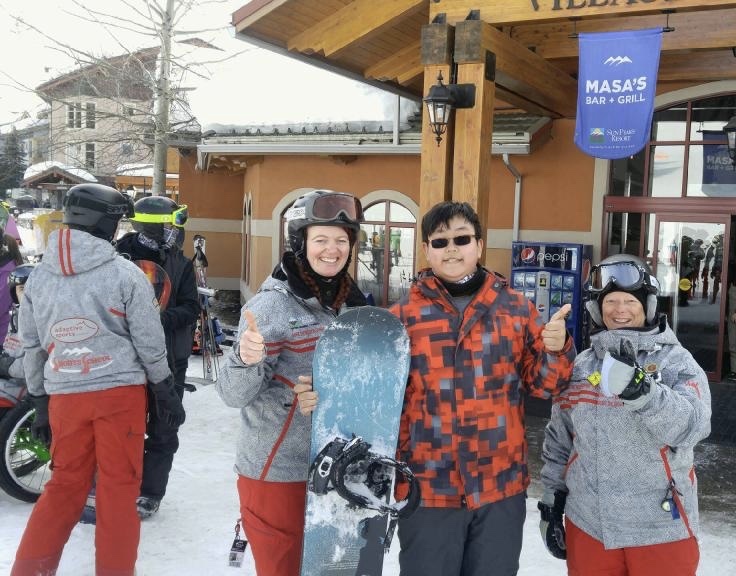 Subject to funding and approval, opportunities are available for you to attain Level 1 Instructor certification with CSIA or CASI throughout the season. What time commitment does volunteering with ASSP involve? The first commitment is that you complete the CADS Level 1 Instructor certification. This means 2 full days of on-snow training and one (Friday) evening of classroom training. 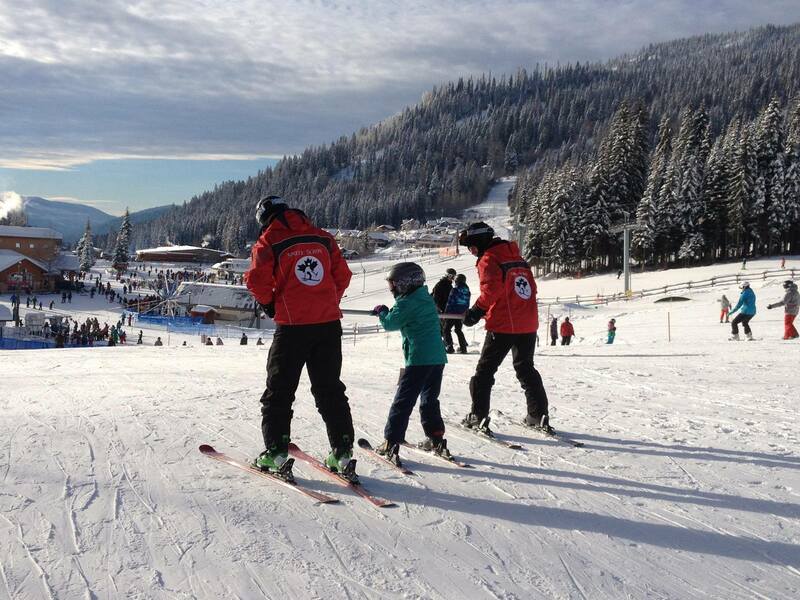 The on-snow training takes place on weekend days. 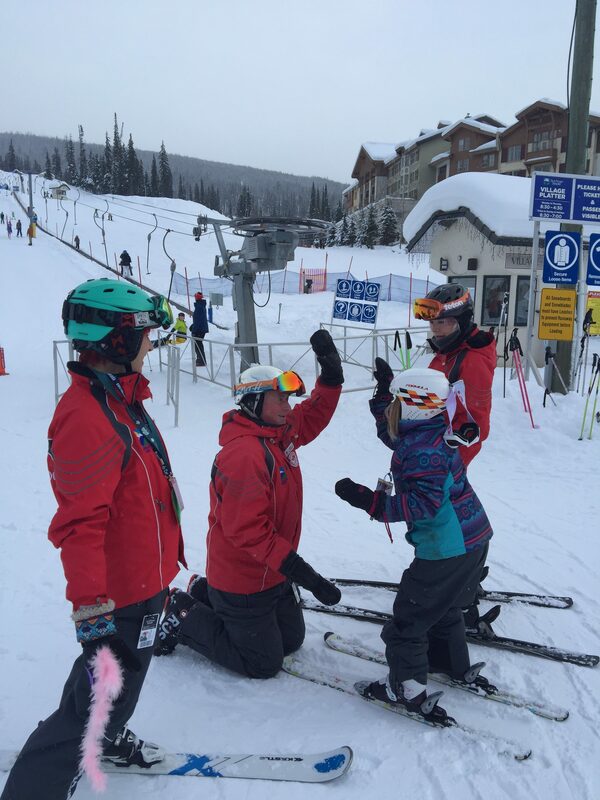 If you do not already have CSIA or CASI Level 1 certification you will be required to participate in 6 hours of CASI/CSIA teaching methodology on-snow training with the Sun Peaks Sports School prior to the CADS Course. ASSP will arrange this 6 hour day and half price lift passes are available for those 3 training days. 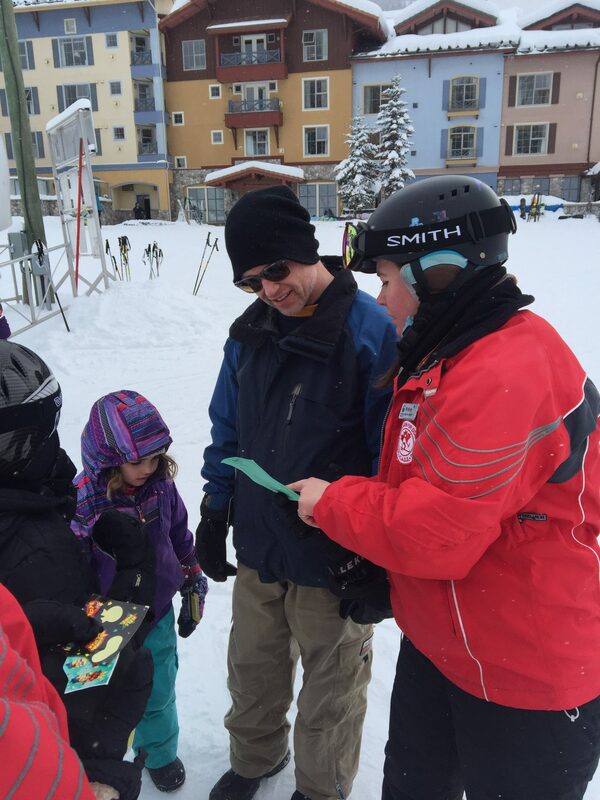 After you have received your CADS Level 1 certification, the minimum commitment required to be considered for a free season’s Volunteer pass is 100 hours/20 days on-snow volunteering. Lessons are 2 hours in duration with 30 minutes allocated pre and post lesson to read up about your student, and complete the lesson log following the lesson. This means your total lesson time is 3 hours and will be recorded as such. Lessons are: 9-11am and 1-3pm. Lunch time Instructor training sessions are held Saturdays and Sundays 12-12.45pm and counted towards your 100 hour commitment should you have a complimentary lift pass. What if I cannot make one of the teaching sessions? We aim for 100% attendance from all instructors and students. However, on occasion situations arise making it necessary to miss a lesson. If this is the case, you will be expected to arrange for another volunteer to cover your lesson. 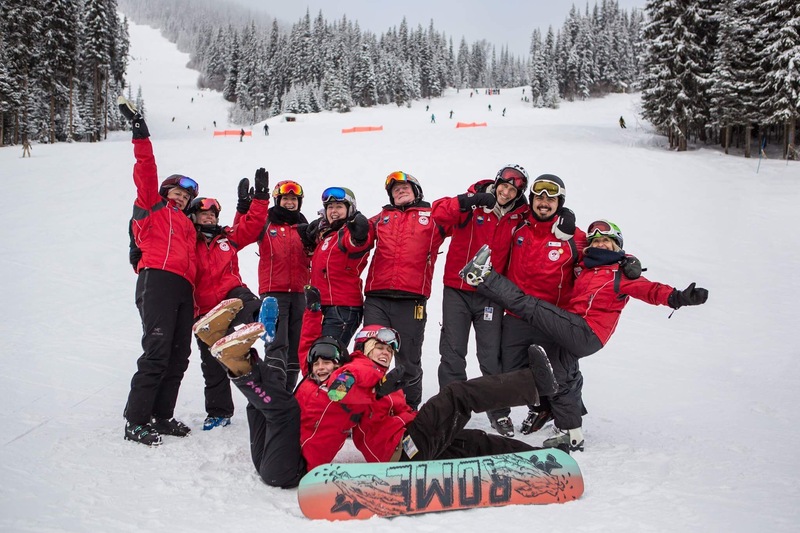 For those Instructors supplied with a Volunteer season lift pass, the Sun Peaks Resort expects a 100 hour commitment for the season which amounts to approximately 1 day per week for the season. Training is included in this 100 hour commitment. I don’t know anything about people with disabilities. Can I still volunteer? Yes. 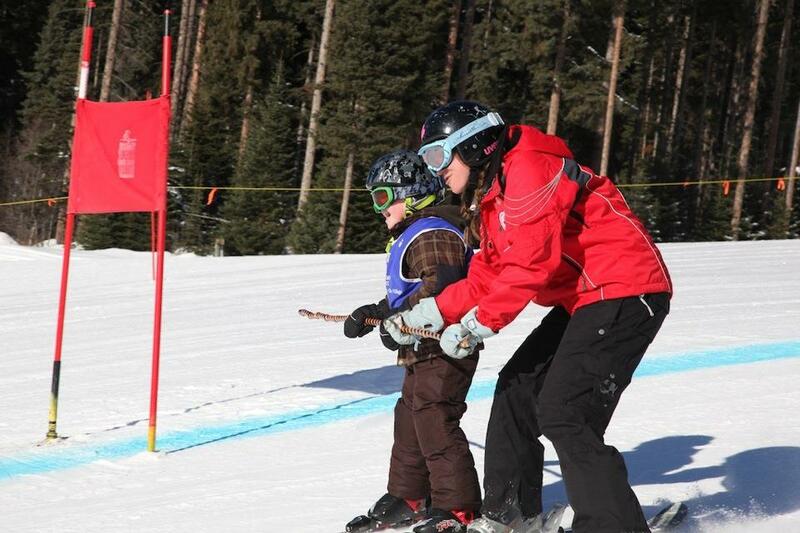 We provide comprehensive training initially through the 3 day CADS Level 1 Instructor Course and throughout the season. This will increase your confidence to work with people with a variety of disabilities. The ASSP Scheduling team will provide information specific to the disability of student/s you are working with so you can prepare for your lesson. The best way to learn is to get out and do it as well as learn from the experienced instructor in your lesson ‘team’. How many students will I have? The ASSP Scheduling team matches two instructors with one student and all attempts are made to stay with that student for their lesson set. This 2:1 ratio ensures quality lesson support and a fun time for everyone where the focus remains ‘safety, fun and learning’. Some students/guests may require additional instructors depending on their needs. Yes. You are responsible for bringing your own equipment that meets current safety standards. Helmet use is mandatory for all instructors and students/guests. You will be provided a full uniform. Yes. You are responsible for your own transportation to and from the hill. Many volunteers have been able to work out a carpool arrangement and there is a closed Facebook Page for Instructors to communicate with each other, as well as via email. Do I need my personal care attendant to be present during my lesson? ASSP Instructors are not expected to perform personal care for their students therefore it is requested a carer be close by to assist when necessary before, during and after the lesson. Should a carer be required to accompany the student/guest during the lesson, BCAS membership will need to be taken out by that carer. Membership entitles the on snow carer to half price lift tickets at Sun Peaks and many resorts. Please see the section on ‘Lesson Expectations’ under the Lessons’ drop down heading for further information. What types of disabilities do you support? ASSP provides a Program that focusses on inclusivity and acceptance of all persons with disabilities. These can range from autism, learning difficulties, ADD/ADHD, Down Syndrome, fetal alcohol disorder, brain injuries, stroke, paraplegia, quadriplegia, visual and hearing impairment, amputation, aging related disorders, mental health diagnoses, and all cognitive and physical disorders. How long are the lessons and where do we meet? Each lesson is approximately 2 hours and mainly 9am-11am and 1pm-3pm although flexibility is available for lessons other than the regular Locals’ Lesson Sets. These are set days and times for 5 consecutive weeks. You will meet your Instructors at the Village Day Lodge for your first lesson unless otherwise instructed. Meeting places for subsequent lessons will be arranged between instructor and student/guest/family. Where is the ASSP office and how do I pay? The ASSP administration office is now at the Grand Hotel Residences building at the end of the Village Stroll and above the Morrisey Pub and Sotheby’s Realty. The office will be open 4 days a week (Wed, Fri, Sat and Sun), and your payments can be taken there with our Program Manager or via online invoice. Credit card payment facilities are available. Accessible car parking is outside the main entrance. Where can I get ski/boarding equipment? Unfortunately ASSP is unable to provide skis, boards, clothing, goggles, gloves or helmets but from time to time we do receive donations of pre loved gear so please let us know if we can help. 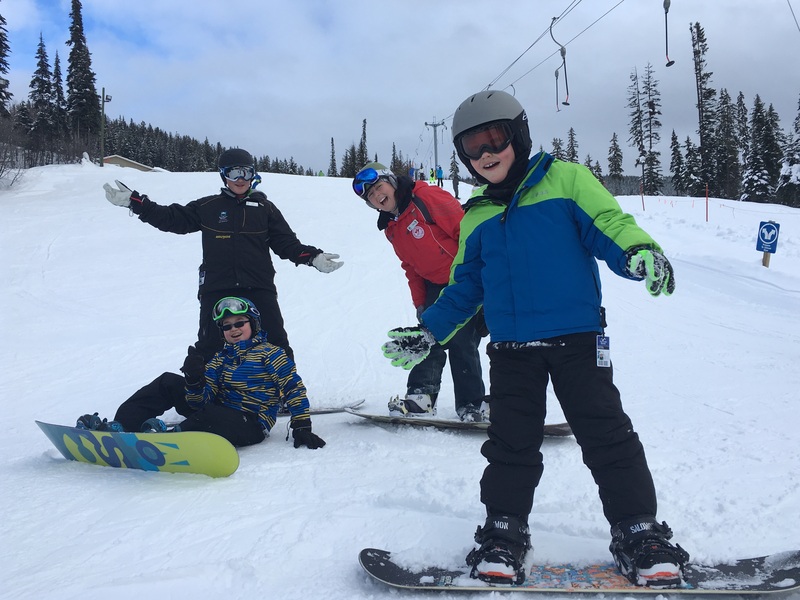 The BC Adaptive Snowsports membership you are required to take out for $53 prior to registering, entitles the student/guest to 20% off rental gear at Sun Peaks Rentals. Consigner Sports in Kamloops has a vast range of pre loved ski and snowboard equipment available for sale. We recommend all second hand equipment be safety checked prior to your lesson and be in sound condition and good repair. 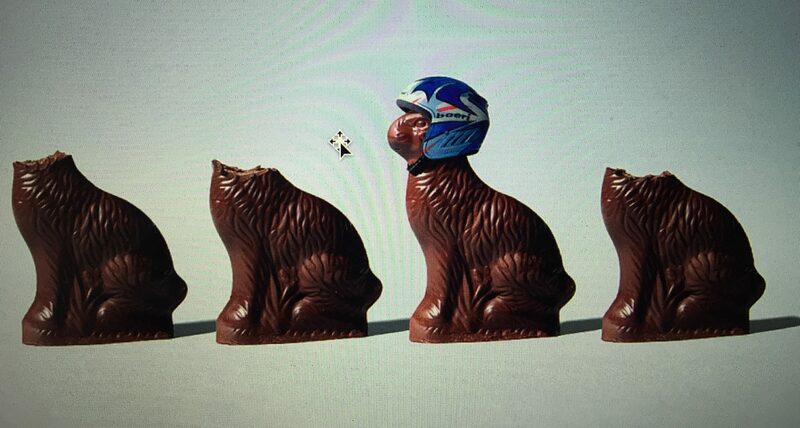 The use of second hand helmets is not recommended due to their unknown damage history. Several grants are available for sports equipment. Please check the ‘financial assistance’ page under ‘lessons’ on the ASSP website. I’ve never skied or boarded before. What can I do to prepare? Throughout the off season endeavor to be physically active as you can in preparation. Learning any new sport can be tiring and our Instructors will ensure you take adequate rest breaks during your lesson. Children with a cognitive disability are best prepared using story boards, equipment familiarisation and rehearsal leading up to their first lesson. Meeting your Instructors ahead of time can be arranged to reduce anxiety and understand what to expect. Will I have the same instructors for all my lessons? Our schedulers attempt to match you to your 1 or 2 instructors and keep the same ‘team’ together. Sometimes due to absences from Instructors and last minute changes plus availability, it may be necessary to schedule a different instructor for your lesson. We attempt to keep disruption to a minimum. Some students benefit from a 1 to 1 ratio, whilst others prefer 1 to 2 instructors or a group environment for social interaction. Please inform ASSP of your preference. 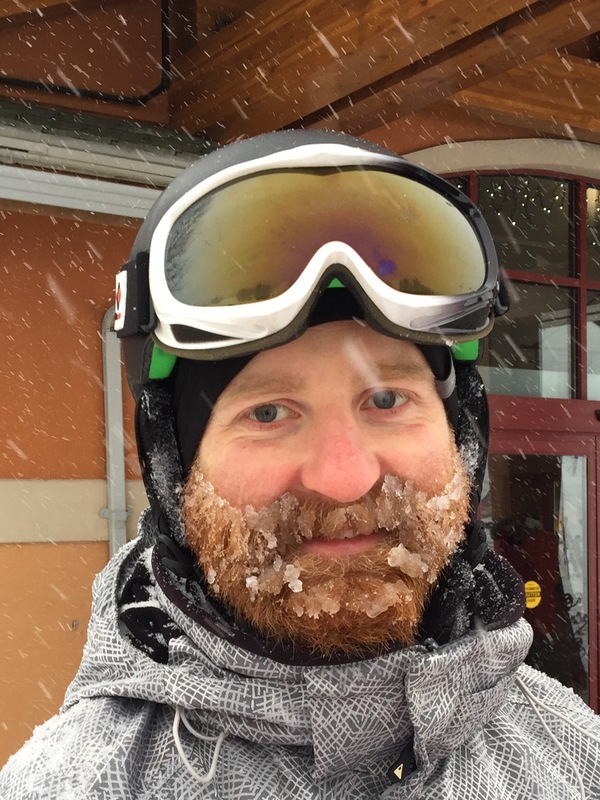 What if my Doctor doesn’t approve of me skiing or boarding? You may wish to postpone lessons until your Doctor approves your lessons as your safety is paramount to your on snow experience with our Program. You have the right to sign a waiver form stating you are not seeking Doctor’s approval but please read this carefully when registering online for your lesson. 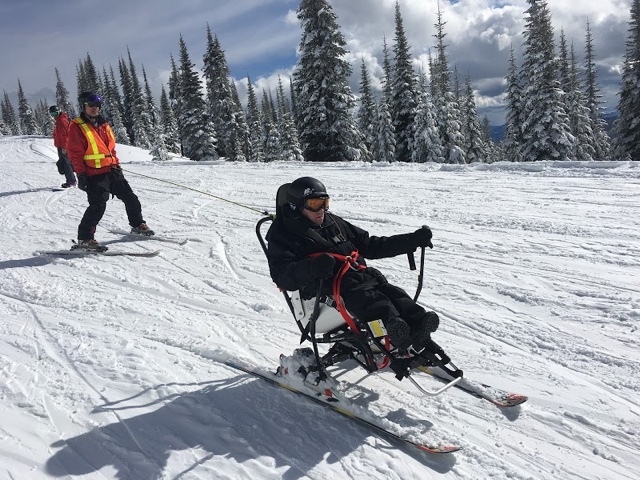 Adaptive Sports at Sun Peaks reserves the right to deny service for medical, safety or behavioural reasons. How do I register for lessons and what are the costs? Locals from the TNRD District wishing to book the 5 lesson set starting in January register using the ‘ASSP Student Registration-Local Program form. The cost is $100 for the 5 lessons. Locals wishing to book a one off 2 hour lesson please register using the ASSP Student Registration-Special Request/TNRD form. Cost is $40. 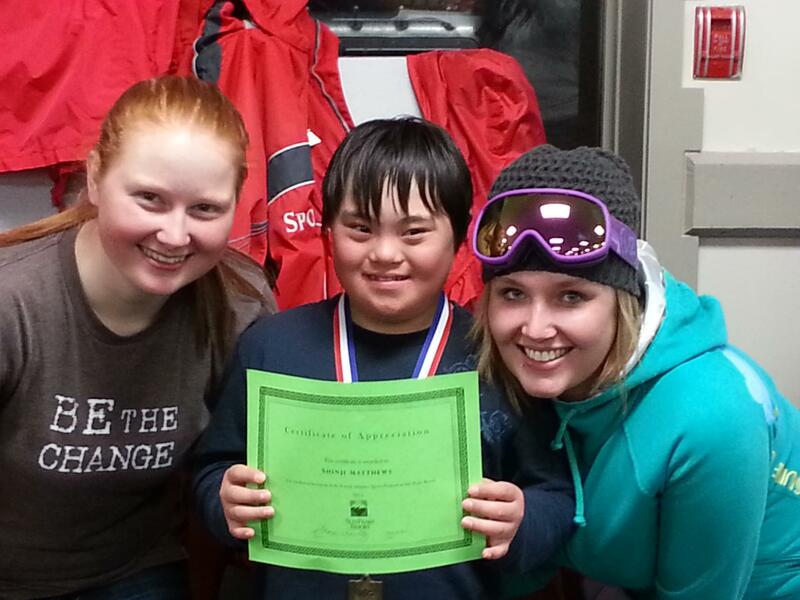 This is also for School District 73 students with a disability booking to ski with ASSP during their school visits. Guests from overseas, The Lower Mainland and other parts of Canada, please register for lessons using the ASSP Student Registration-Special Request/Non TNRD Residents form. Cost for a 2 hour lesson is $150 and a minimum of 48 hours notice is requested. Please see ‘Booking a Lesson’ and ‘Lesson Pricing’ under ‘Lessons’. Do you offer any financial support for lessons? Locals’ lessons are heavily subsidised due to the generosity of sponsorship and Grants, however there are options to assist with lesson costs. 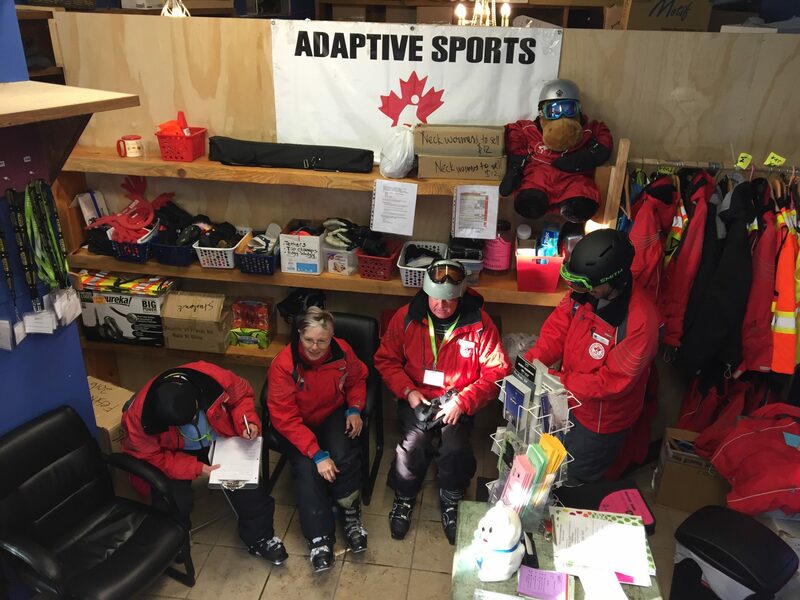 For more information, please see under ‘lessons…financial assistance’ on our website or contact ASSP directly via email at adaptivesportsatsunpeaks@gmail.com or by phoning the Program Manager on 250 572 0616.